For all of you hummus lovers! Here's a way to enjoy a little more variety with it and a totally different yummy taste! 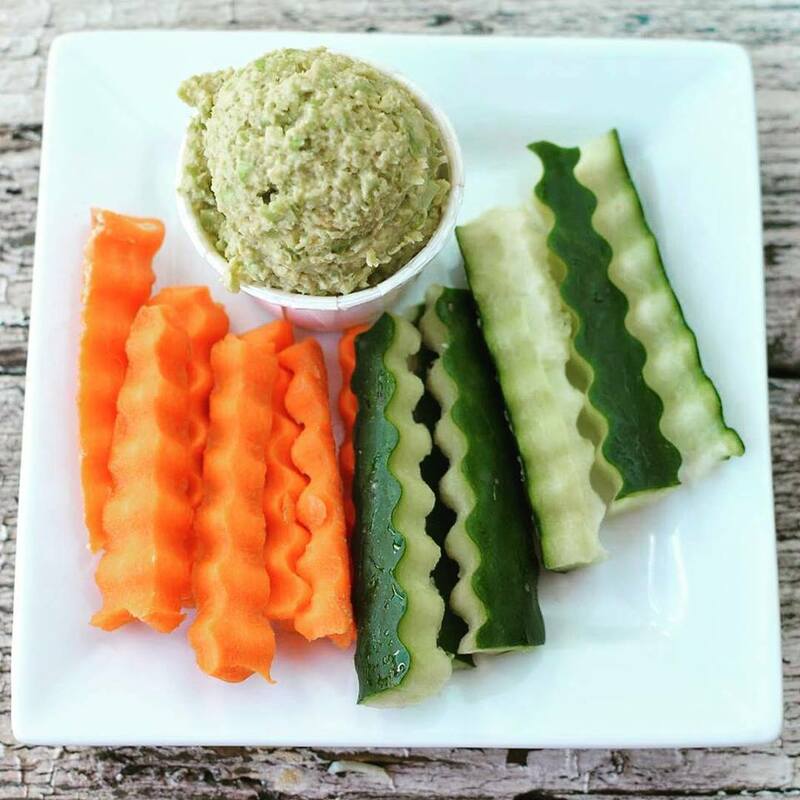 Blend hummus with shelled edamame in a blender or food processor. 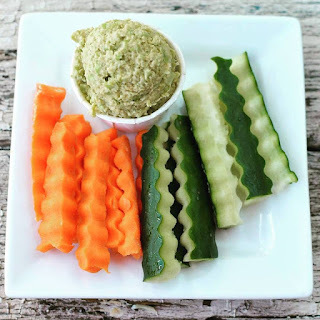 Slice carrots and cucumber into sticks; serve with hummus. If you're following the 21 Day Fix, it equals 1 blue & 1 green per serving.